South African President Jacob Zuma’s warning to Western corporations to change their neocolonial attitudes toward Africa or risk losing out to China and other developing economies resonated powerfully last month, as South Africa hosted Brazil, Russia, India and China at the fifth BRICS summit. But Zuma’s stance reflects the rise of cross-border “macroinvestment”, a phenomenon that is more remarkable than the developing world’s declining reliance on the West. Business investment is usually project-based, with the factory to be built or the land to be cultivated forming the investment boundary. A larger deal – for example, a concession to mine iron ore in Mongolia – would include more complex investment boundaries, establishing details like the project’s timing and the anticipated benefits to the host country. For example, beyond building the mine itself, the deal could include investments in transport systems to market the mined product, energy generation and accommodations and other facilities for workers in the surrounding communities. In some cases, the deal might even include features aimed at boosting domestic added value by localising the mine’s procurement or creating the capacity to process the mine’s output. Unlike comparable financing that Western governments provide, these pre-designated lines of credit are tied to agreements concerning market or natural-resource access, and provide additional funding for the host government to invest according to its own priorities. Angola’s government, for example, arranged with China’s Exim Bank for several lines of credit totalling several billion dollars, some directly in exchange for oil, and others more broadly linked to enhancing Chinese companies’ ability to secure oil concessions. Western commentators have largely dismissed such investment as a means for China to build vanity infrastructure, such as public administration buildings, oversized airports and underused highways. But, while such follies exist, the reality is far more interesting – and its impact far more significant. Developing countries – and, increasingly, advanced countries as well – need massive infrastructure investment to drive their economic development. China is now enabling its developing partners to mirror its own strategy of infrastructure-led development by providing the needed investment at low cost. In these mutually beneficial macroinvestment deals, Chinese contractors deliver the needed infrastructure. Host governments receive financing not only for the agreed projects, but also to pursue other priorities that they have identified for their countries. Critics argue that China’s macroinvestment strategy encourages rent-seeking by partner governments, providing slush funds that serve the political elite and well-connected businesses. They highlight China’s unwillingness to embrace initiatives such as the Extractive Industries Transparency Initiative, or to establish an equivalent of America’s Foreign Corrupt Practices Act or the OECD’s Convention on Combating Bribery of Foreign Public Officials in International Business Transactions. To be sure, such concerns are not unwarranted; China and its partners would benefit from robust anti-corruption legislation regulating Chinese companies’ international operations. But the critics ignore China’s promotion of national environmental and social oversight over outward investment, including the “green credit guidelines” that the China Banking Regulatory Commission issued last month, and the just-released Guidelines on Environmental Protection in Foreign Investment and Cooperation. Indeed, China is rewriting the rules for cross-border investment governance, just as it is reshaping public and private investment strategies for the twenty-first century. Macroinvestment need not be exclusive to China, though competing against China’s unique combination of low-cost operations, abundant cheap finance, and powerful state-owned enterprises will not be easy. But, as major emerging economies like Brazil and India rapidly increase their outward investment, they are in a prime position to establish similarly constructive arrangements with developing countries. Western countries, too, can meet growing demand for broader long-term investment deals. But they must adopt a new mindset, treating host countries as equals. Lecturing developing-country governments, while limiting investment to resource extraction, is no longer tenable. Global investment markets are changing fast. And the cost of falling behind – erosion of long-term competitiveness – could not be higher. To implement the macro adjustment policies provided for in the Integrated Working Plan of the State Council for Energy Conservation and Emission Reduction during the 12th Five-year Period and the Comments of the State Council on Strengthening Environmental Protection Priorities, and to follow the requirements of matching supervisory policies with industrial policies, the CBRC has formulated the Green Credit Guidelines for the purpose of encouraging banking institutions to, by focusing on green credit, actively adjust credit structure, effectively fend off environmental and social risks, better serve the real economy, and boost the transformation of economic growth mode and adjustment of economic structure. The Guidelines are hereby printed and issued for implementation. Banking supervisory authorities should forward the Notice to local banking institutions and urge them into implementation. 1. Article 1 For the purpose of encouraging banking institutions to develop green credit, these Guidelines are formulated pursuant to the Law of the People’s Republic of China on Banking Regulation and Supervision and the Law of the People’s Republic of China on Commercial Banks. 2. Article 2 Banking Institutions mentioned herein include policy banks, commercial banks, rural cooperative banks and rural credit cooperatives lawfully incorporated within the territory of the People’s Republic of China. 4. Article 4 Banking institutions shall effectively identify, measure, monitor and control environmental and social risks associated with their credit activities, establish environmental and social risk management system, and improve relevant credit policies and process management. 5. The environmental and social risks mentioned herein refer to the hazards and risks on the environment and society that may be brought about by the construction, production and operating activities of banking institutions’ clients and key affiliated parties thereof, including environmental and social issues related to energy consumption, pollution, land, health, safety, resettlement of people, ecological protection, climate change, etc. 6. Article 5 The CBRC is responsible for, in accordance with applicable laws, regulating and supervising banking institutions’ green credit business and their environmental and social risk management. 10. Article 9 The senior management of a banking institution shall assign a senior officer and a department and configure them with necessary resources to organize and manage green credit activities. Where necessary, a cross-departmental green credit committee can be set up to coordinate relevant activities. [What needs to be followed up is what interest the senior officer represents. Is he/she more in line with banking interests or with the environmental interest? Green credit policy is par excellence a cross-departmental issue, which engages banking institutions, regulatory committee, foreign office if the business is overseas investment, and environmental protection agency. The wording “where necessary” actually decreases the motivation of cross-departmental cooperation because it creates more space for the departments not to cooperate if they regard it “unnecessary”. 11. Article 10 Banking institutions shall, as per national environmental protection laws and regulations, industrial policies, sector entry policies, and other applicable regulations, establish and constantly improve the policies, systems and processes for environmental and social risk management and identify the directions and priority areas for green credit support. As for industries falling within the national “restricted” category and industries associated with major environmental and social risks, they shall customize credit granting guidelines, adopt differentiated and dynamic credit granting policies, and implement the risk exposure management system. 13. Article 12 Banking institutions shall establish working mechanisms conducive to green credit innovation to boost innovation of green credit processes, products and services while effectively curbing risks and ensuring business continuation. 19. Article 18 Banking institutions shall, by improving contract clauses, urge their clients to strengthen environmental and social risk management. As for clients involving major environmental and social risks, the contract shall provide for clauses that require them to submit environmental and social risk report, state and avow that they will strengthen environmental and social risk management, and promise that they are willing to be supervised by the lender; the contract shall also provide for clauses concerning the remedies banking institutions can resort to in the event of default on environmental and social risks made by the clients. 22. Article 21 Banking institutions shall strengthen the environmental and social risk management for overseas projects to which credit will be granted and make sure project sponsors abide by applicable laws and regulations on environmental protection, land, health, safety, etc. of the country or jurisdiction where the project is located. The banking institutions shall make promise in public that appropriate international practices or international norms will be followed as far as such overseas projects are concerned, so as to ensure alignment with good international practices. 23. Article 22 Banking institutions shall incorporate green credit implementation into the scope of internal compliance examination, and regularly organize and carry out internal auditing on green credit. Where major deficiencies are identified, investigation shall be conducted to determine whom to be held accountable as per applicable regulations. 24. Article 23 Banking institutions shall establish effective green credit appraisal and evaluation system and reward and penalty system, and have in place incentive and disciplinary measures, so as to ensure sustained and effective offering of green credit. 25. Article 24 Banking institutions shall make public their green credit strategies and policies, and fully disclose developments of their green credit business. As for credit involving major environmental and social risks, the banking institutions shall disclose relevant information according to laws and regulations, and be subjected to the oversight by the market and stakeholders. Where necessary,[five times of appearance] an eligible, independent third party can be hired to assess or audit the activities of banking institutions in performing their environmental and social responsibilities. 26. Article 25 Banking supervisory authorities at all levels shall strengthen the coordination with competent authorities, establish and improve information sharing mechanism, improve information services, and remind banking institutions of related environmental and social risks. 27. Article 26 Banking supervisory authorities at all levels shall strengthen off-site surveillance, improve off-site supervisory indicator system, enhance the monitoring and analysis of environmental and social risks faced by banking institutions, timely guide them to strengthen risk management and adjust credit orientation. 28. Banking institutions shall, pursuant to the provisions hereof, perform overall green credit evaluation at least once every two year, and submit the self-evaluation report to competent banking supervisory authorities. 29. Article 27 When organizing and conducting on-site examination, banking supervisory authorities shall take into full account the environmental and social risks faced by banking institutions, and make clear the scope and requirements of examination. As for regions or banking institutions involving prominent environmental and social risks, ad hoc examination shall be conducted and urge said institutions to improve in light of examination results. 30. Article 28 Banking supervisory authorities shall provide more guidance to banking institutions on green credit self-evaluation, and, in conjunction with the results of off-site surveillance and on-site examination, holistically assess the green credit performance of banking institutions, and treat the assessment results, as per applicable laws and regulations, as important basis for supervisory rating, institution licensing, business licensing, and senior officer performance evaluation. Protests concerning incidents of environmental pollution in China are growing by an average of 29% every year, reports our Chinese-language sister paper Want Daily. At a recent meeting of the standing committee of the National People’s Congress, Yang Chaofei, vice chairman of the Chinese Society of Environmental Sciences, said that the number of major environmental incidents soared by 120% last year due to a number of emergencies involving heavy metals and other hazardous substances. The situation is leading to a rise in local protests on account of pollution, Yang said, with 927 cases handled by the country’s Ministry of Environmental Protection since 2005. Seventy-two of the cases involve major environmental incidents, he added. Yang said the country lacks proper channels to allow the public proper access to environmental data and its laws on environmental protection are unclear. Regulations are also too abstract and impractical, he said, which has led to a lot of discontent among the younger generation born after 1990 that has grown much more aware of green issues. Yang recommended setting up a platform for members of the public to get involved in discourse about the environment, as well as developing a more complete legal framework and a better system of environmental impact assessment for enterprises and government infrastructure projects. He also advocated setting up round-table forums in communities to present feedback to the government and enterprises on environmental issues. The BBC previously posted an article on its Chinese website which implied that Beijing routinely ignores environmental issues. The public is fed up with “seemingly scientific” environmental impact assessments that usually conclude that there is no impact or that the commercial benefits outweigh the environmental costs, according to the BBC report. The lack of faith in China’s environmental protection movement stems from the lack of public participation and channels of communication, the report said, adding that the country’s NGOs are often under the control of the government. The current system has resulted in numerous large-scale protests which often spiral out of control. More than 10,000 people were involved in recent protests against the expansion of a petrochemical plant in the eastern coastal city of Ningbo, while nearly 100,000 people were caught up in violent clashes with the police while protesting the construction of a sewage pipeline near the city of Qidong in Jiangu province. Both incidents received global media attention and became hot topics on the internet in China. In both cases, the government ultimately bowed to public pressure and suspended the projects. People power in the People’s Republic of China! After several days of growing and increasingly rowdy protests, officials in the eastern Chinese city of Ningbo have backed down and agreed to call off a $8.9bn expansion at a local petrochemical plant. Some protesters remain sceptical, saying they suspect the cancellation is a tactical move rather than a real concession to resident’s concerns about the health and environmental dangers of the plant. But it’s nonetheless another sign that Chinese citizens are becoming more willing to push back against their government – and that the government is being forced to take notice. The protest in Ningbo started last week with as few as 200 marchers. They objected to expanding the refinery, already among the country’s largest, to manufacture paraxylene, a suspected carcinogen. By the weekend, the protest had grown to several thousand, and demonstrators scuffled with riot police as tear gas and batons were met with bricks and bottles. The confrontation attracted international attention at a particularly sensitive time for the Communist party leadership: national leaders have been preparing foran important party congress in November at which new leadership will be announced. On Sunday, Ningbo officials said they would shelve the project. Still, some protesters continued to picket, dismissing the seeming concession as a ploy to get their opposition out of the public eye. 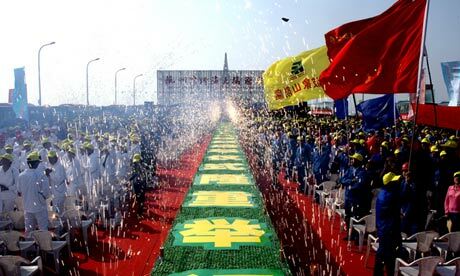 This is just the latest example of Chinese citizens taking to the streets to stop industrial projects. Over the past year or so, mass protests have derailed a huge copper smelter in Sichuan, closed a polluting solar panel factory near Shanghai and led to a chemical plant being shut down in Dalian. Protests also scotched a pipeline in Jiangsu province meant to dump paper mill waste into the sea. Worried by China’s economic slowdown, government officials are pushing to boost industrial production. But an increasingly well-educated and affluent Chinese middle class is wary of projects they see as endangering their health and the environment in the pursuit of economic growth at all costs. They’re using the web and social media to get their message across, and seem more willing to vocally challenge government decisions they see as unfair. This presents a delicate balancing act for the central government and the Communist party. The party is quick to crack down on what it perceives as threats to “social harmony”, and officials vigorously deploy the“great firewall of China” to keep Chinese netizens from getting too much information about forbidden subjects. For example, the recent New York Times article detailing the unexplained wealth of Chinese premier Wen Jiabao’s relatives was quickly scrubbed from the web in China. Still, the government seems to realise that, in some circumstances, dissent is better channelled than repressed. The fact that protests against environmental and public health threats from factories and industrial pollution are localised, with anger largely directed against local officials, gives the central government a way to defuse opposition before it grows into a broader sentiment against the one-party system. Next week, the world will learn the names of the leaders who will guide the country for the next decade. But another, more fundamental question will remain unanswered. How long can the government continue to increase economic freedoms without being willing to trust its people with political freedom as well? Read more: Reuters looks at how China’s experiments with “grassroots democracy” are working. China’s eastern city of Ningbo detained more than 50 people over violent protests last week that successfully blocked a planned chemical plant, state media said Tuesday.Ningbo city said Sunday that work on the 55.9-billion-yuan ($8.9 billion) oil and petrochemical complex would stop after thousands of local residents clashed with police in a week-long protest over pollution fears. Police detained 51 people who clashed with police last Friday, throwing stones and overturning two vehicles, the Ningbo Daily said Tuesday. Of the 51, 13 were deemed criminal suspects, the newspaper said, meaning they could face prosecution. Police could not be reached for comment on the report. Authorities detained another man, who was found carrying a knife, during protests on Sunday evening, said the report, which quoted Ningbo city officials. Separately, authorities also detained a woman for spreading false rumours that a university student died in the protests, police said in a separate statement. 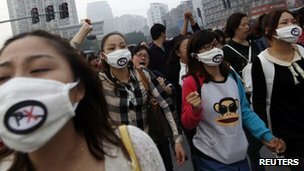 Environmental pollution has increasingly sparked protests across China, helped by social media, which allows organisers to publicise their causes and rally others despite tight controls in the one-party state. Ningbo residents told AFP that the protests had tapered off on Tuesday after the government’s pledge to halt the project, despite suspicion the city might try to revive it, but the police presence remained strong. “The streets are full of patrolling police cars,” said a resident of Zhenhai, which was the proposed site of the plant. Zhenhai district said Sunday it would “ban” production of paraxylene (PX), a petrochemical used for plastic bottles, which had been the focus of residents’ health fears. As a series of heated protests against chemical plants, metal factories and heavy industries have rocked China, experts have called on the government to listen to the public’s objections, or risk making the situation worse. Yang Chaofei, the deputy director of the Chinese Society for Environmental Sciences told the Standing Committee of the National People’s Congress Friday that China needs to consider pollution damage compensation laws as well as regulations to allow environmental lawsuits based on the public interest. He also told the committee that polluters in China rarely see the inside of a courtroom, let alone receive a guilty verdict. According to Yang, the number of environmental protests in China has been increasing at an average rate of 29 percent per year since 1996, but less than 1 percent of the environmental disputes were settled through laws or the court system. Environmental authorities received more than 300,000 environmental petition appeals from 2006 to 2010, while just 1,100 of these were processed at court, Yang said at the lecture. When it comes to big projects that are beneficial for the local economy, appeals from pollution victims are sometimes turned down by courts for being too “sensitive,” he noted. This can lead to protests, which tend to begin with petitions, then when the government turns a blind eye to public appeals they grow into larger protests, said Cheng Yuyan, a law expert with the Guangdong Institute of Public Administration, who has studied China’s environmental protests. “As the situation regarding pollution gets worse, members of the public might use this as a chance to express dissatisfaction over other social problems,” Cheng added. Another reason for the large scale protests is that many cases remain unresolved despite appeals to the court, said Liu Jinmei, a lawyer with the Center for Legal Assistance for Pollution Victims under the China University of Political Science and Law. Around one third of the cases the center processed never made it to the court, said Liu, with the lawsuit appeals rejected either because the projects bring in a lot of money, or the company has strong connections with the government. “There are few organizations in China that provide pollution victims with legal consulting services for free, so most of the time people don’t know whom to turn to for help when their living environment is endangered. Some only start seeking help when the case has passed a prescribed period for litigation, or they don’t have access to essential evidence, which means they lose their cases if they are fortunate enough to even have their cases accepted by the courts,” Liu said. One example is Xu Yu, a 62-year-old villager in Liaoning Province, who said he felt powerless after a four-year appeal with the courts against a polluting chemical plant failed to make any progress. He said that since a chemical plant was established in the Zhangjiayingzi township, Jianping county, in 2008, there had been several major incidents of poisoning involving nearby residents, including one that involved some 300 students who showed similar symptoms of being poisoned in October 2008. Residents attributed it to pollution from the plant and attempted lawsuits, but were turned down by the courts. “I appealed at the village, county and municipal courts but they all told me they couldn’t accept the case because it’s a case involving a group of people rather than a personal dispute,” Xu said. Hundreds of residents rallied at the township government for a protest and thousands signed an appeal letter to environmental authorities during the past four years, but the local government and courts always attempted to dodge their responsibilities, he said. Xu tried to submit an appeal to the Supreme People’s Court in Beijing in August 2010, but was detained by county police for 10 days after he was sent home. The environmental protests also reveal growing public demand for participation in politics, said Tang Hao, an associate professor of politics at South China Normal University. In recent years, environmental campaigns that began from small groups including environmental activists and scholars, have morphed into massive street protests involving ordinary people. Tang said, adding that fortunately, so far, the protests had not been particularly violent, but if there was no action on this issue, there was a risk that this could change in future. “That only makes people angrier, gives the government an excuse to use force, and leads to escalated results,” Tang told the Global Times. Lin Yanmei, the assistant director of a Sino-US environmental cooperation project under the Vermont Law School in the US, told the Global Times that there were much more aggressive protests in the US before the country established a set of environmental laws in the 1970s, which allow for input from the public and NGOs. “Currently in China, people tend to seek solutions to environmental issues through means other than the law, which they don’t have much faith in, and the government works toward maintaining social stability instead of encouraging legal action,” Lin told the Global Times. BEIJING: The number of new hydropower projects in China could surge as the country’s populist premier Wen Jiabao retires and a new leadership team races to meet ambitious 2020 energy goals. More dams could be a tough sell as an increasingly affluent public pushes back against a “growth at all costs” economic model. As China’s new leaders consider how to power expansion, however, they have little choice but to push ahead with hydropower given that alternatives like coal or nuclear fueled power may be even less palatable to the population. The government aims to boost total power capacity by nearly a half to 1,500 gigawatts by 2020, up from 1,060 GW at the end of last year, while cutting coal consumption and limiting growing dependence on expensive gas imports. The scale of the task is massive. The increase is roughly equivalent to adding Russia and India’s total combined power generation capacity. Beijing is also seeking to raise the share of non-fossil fuels to 15 percent of its total energy mix by 2020, up from 9.4 percent in 2011. But China has scaled back its nuclear plans since Japan’s Fukushima disaster, limiting clean energy options and making it harder to hit the targets without many more dams. Untouched river: Wen’s tenure as premier saw a number of projects shelved, with only a third of the projects identified as a priority over the 2006-2010 period actually going ahead, said Zhang Boting, the deputy head of the China Society for Hydropower Engineering, a pro-hydro group. Among the projects vetoed by Wen were a series of dams on Yunnan’s untouched, UNESCO-protected Nu River, known outside China as the Salween, in 2005. The project has been shelved since, but it is still listed among the government’s key development projects for the 2011-2015 period. Wen, a geologist by trade and populist by instinct, is due to step down in March 2013. But long before his departure, the tide had begun to turn. China’s latest five-year plan said 160 GW of new hydro capacity needed to go into construction over the 2011-2015 period. “If implemented, it will result in an unprecedented dam-building push,” said Peter Bosshard, director of environmental group International Rivers, which campaigns against big dams. The builders of several projects stalled during Wen’s tenure as premier have already begun construction even before receiving approval to go ahead. Giant power firms are preparing new multiple dam systems on the upper reaches of the Yangtze and Mekong rivers in southwest China’s Yunnan province. The 1.9 GW Huangdeng project, one of a series of dams under construction on the Mekong by China’s biggest power firm, the Huaneng Group, is now 40 percent complete even though it hasn’t yet been fully approved, activists say. Huaneng and other giant state-owned utilities are clearly confident that final approval will be granted quickly once the new leadership is in place. Stomach to take on opposition: Policy documents have helped fuel their confidence. An energy white paper published in October said China will “rely on hydropower to meet more than half of the (non-fossil fuel) target”. Total hydro capacity would reach 290 gigawatts by the end of 2015, up from around 230 GW now, and China’s rivers could potentially run as much as 542 GW, the paper said. According to its “five-year plan” for renewable energy, China aims to launch 60 big hydro plants over 2011-2015. Wen’s ability to intervene to block hydropower plants was strengthened in 2007 when final approval for dam projects was given to the cabinet, the State Council, chaired by the Premier. Final approval for big dams will continue to lie with the cabinet, and opponents may be encouraged by the recent remarks of environment minister Zhou Shengxian, who said big projects will need to resolve “social impact” issues before going ahead. The industry is increasingly impatient. The project delays have angered not only power executives, but also energy officials and local government leaders who say that while dams are disruptive, benefits far outweigh costs. 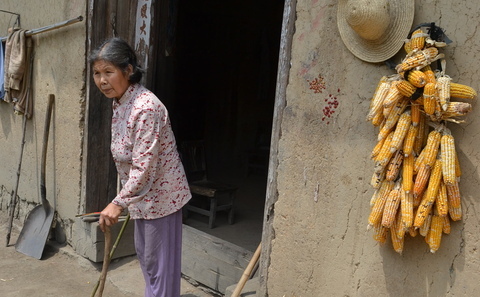 Xu Dingming, a State Council energy advisor, has repeatedly spoken out against what he sees as the folly of overzealous campaigning against dams, especially in poor regions like Yunnan, noting that stable electricity supplies would galvanize the economy and allow mineral resources to be developed. How quickly construction accelerates will depend on the stomach of the new leadership to take on and manage public opposition to the projects, Zhang of the China Society for Hydropower Engineering said. “Whether they will speed up the pace of development will depend on where their courage lies,” he said. NINGBO, China — Environmental protesters in the city of Ningbo, scene of violent weekend demonstrations, went back to work on Monday after the local government made a carefully calculated concession designed to defuse unrest over plans to expand a petrochemical complex. The Ningbo government took a leaf from the same book as other Chinese cities when faced with protesters whose demands are environmental rather than broadly political: it announced a halt to plans to build a paraxylene facility at a petrochemical plant owned by a subsidiary of Sinopec, China’s biggest oil refiner, in the Zhenhai seaside area near Ningbo. That concession largely emptied the streets of demonstrators in the eastern port city, leaving only small groups of curious onlookers outside the Ningbo government offices, where a large police presence prevented crowds from forming. At the Zhenhai chemical industrial area, where a foul odor hung in the air, a handful of angry young men manned a makeshift barricade complaining that the local government had never followed through on a 10-year-old promise to pay a subsidy to local residents because of pollution. “It’s too smelly here,” says a young man wearing a white face mask over his nose and mouth. “We are here to protect people’s rights,” he says, declining to give his name. His complaint is only tangential to the main protest about the paraxylene plant, but it highlights how unhappiness over an environmental issue can easily spark broader grievances about issues like inequality of income. The mood in Ningbo highlights a big challenge facing China’s incoming leaders who are set to take power next month: Chinese are more and more willing to take their grievances to the street, particularly for pollution-related issues. “The time bomb has already been planted,” says Li Bo, environmental activist and board member of Friends of Nature, a Chinese advocacy group. The pollution that has accumulated during China’s decades of rapid growth is now extremely costly and difficult to manage, he says, and environmental concerns are rising. When Hu Jintao and Wen Jiabao came into office a decade ago, one of the first big domestic crises they faced was a toxic chemical spill on the Songhua river in northern China that contaminated the water supply for millions of people. Since then environmental disasters – and related public protests – have continued. As a result Wen and Hu have put environmental protection higher on the agenda than any of their predecessors. But environmental degradation has worsened under their watch and remains one of the key sources of social instability. “The problem is we still have an opaque environmental decision-making system that is not really open to the public,” says Ma Jun, an environment expert and head of the Institute for Public and Environmental Affairs. Even the humble chemical paraxylene, or PX, the chemical feedstock that was at the centre of the Ningbo protests, has set off multiple large-scale protests across the country. In 2007, demonstrations against a PX plant in Xiamen succeeded in halting construction there. In 2011, more than 10,000 protesters in Dalian gathered to demand the closure of a PX facility, eliciting a promise from the mayor that he would shut it down. But local governments do not always follow through on such promises: when the Financial Times visited the PX plant in Dalian, which is owned by Dalian government-backed Dalian Fujia Petrochemical, in June this year, workers, security guards and outside suppliers all said that far from shutting down production the plant had been expanded and was hiring new workers. One western executive of a big petrochemical company in China said the Dalian plant had not stopped production. The Dalian government and Dalian Fujia Petrochemical declined to comment when asked whether the Dalian plant was still running and why the government had not followed through on its promise to shut it down. Yan Zhang contributed to this story. NINGBO, China (AP) — After three days of protests by thousands of citizens over pollution fears, a local Chinese government relented and agreed that a petrochemical factory would not be expanded, only to see the protests persist. The protest, which started sporadically last week, swelled over the weekend and led to clashes between citizens and police. The Ningbo city government announced Sunday evening that they and the project’s investor — the state-owned petrochemical behemoth Sinopec — had “resolutely” agreed not to go ahead with the expansion. The city government was likely under great pressure to defuse the protest with China’s leadership wanting calm for the party congress that starts Nov. 8. It was unclear whether local authorities will ultimately cancel the petrochemical project or continue it when the pressure is lower. The crowd roared for the protesters’ release. Police also briefly detained a correspondent from the British television network ITN. Residents reported that Saturday’s protests involved thousands of people and turned violent after authorities used tear gas and arrested participants. Authorities said “a few” people disrupted public order by staging sit-ins, unfurling banners, distributing fliers and obstructing roads. The crowds in Ningbo are a slice of China’s rising middle class that poses an increasingly boisterous challenge to the country’s incoming leadership: Armed with expensive smartphones, Internet connectivity and higher expectations than the generations before them, their impatience with the government’s customary lack of response is palpable. In a sign that censors were at work, the name “Zhenhai” was blocked on China’s popular microblogging site Sina Weibo. The Zhenhai district government said in a short statement on its website Sunday evening that the project wouldn’t go ahead and that refining at the factory would stop for the time being while a scientific review is conducted. Past environmental protests have targeted a waste-water pipeline in eastern China and a copper plant in west-central China. 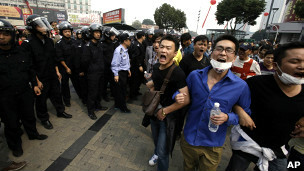 A week ago, hundreds protested for several days in a small town on China’s Hainan island over a coal-fired power plant. NINGBO, China: Protesters who forced a Chinese city to halt work on a new chemical plant massed outside government offices Monday in a wary response to a victory which highlighted the country’s growing environmental activism. Authorities in Ningbo city said Sunday that work on the 55.9-billion-yuan ($8.9 billion) oil refining and petrochemical complex would stop after thousands of local residents clashed with police in a week-long protest. The demonstrations and apparent victory of local residents are the latest example of unrest stemming from public anger over pollution created by decades of rapid development. But despite the government promise to halt the new plant of Chinese energy giant Sinopec, some Ningbo residents Monday stressed they had no faith in public officials and the city might try to revive the project. “The government’s resolution (to halt the factory) is the initial victory we achieved, but the government lacks the public’s trust so this decision cannot be believed,” a protester told AFP by telephone, asking not to be named. He added up to 200 people gathered outside Ningbo city government offices on Monday morning, smaller than on Sunday when they numbered in their thousands. “The situation was relatively stable (Monday),” he said. Police later sought to disperse them even though the gathering was peaceful, according to an AFP journalist who was briefly detained by police. Protesters had left by late afternoon. Protests were also reported in Zhenhai, the proposed site for the factory, despite a heightened security presence. “Unfortunately, it is perhaps just a stalling tactic… the government felt pressure and was eager to wind this matter up, so there’s no victory for us,” said Ningbo resident Sha Shi Di Sao Zi on a microblog. The rallies came ahead of a once-in-a-decade Communist Party congress starting November 8 at which new leaders will be selected. Ahead of the delicate handover, authorities are keen to present a show of harmony. An editorial in the state-run China Daily newspaper Monday said a rising number of environmental-related protests showed the “obsession” of local officials with economic development had to be changed. “Too many local governments are still preoccupied with gross domestic product,” it said. In July, thousands of people demonstrated over fears of pollution from a sewage pipeline at a Japanese-owned paper factory in eastern China, dispersing after local authorities pledged to cancel the project. Earlier this year in the southwestern province of Sichuan, hundreds clashed with police over a planned metals plant in Shifang city. They also forced the project to be scrapped. Ningbo’s Zhenhai district said Sunday it would “ban” production of paraxylene (PX), a petrochemical used for plastic bottles which had been the focus of health fears. The statement admitted for the first time that PX, which has been linked in some studies to a wide range of human health problems for those facing extended exposure, was going to be produced at the site. 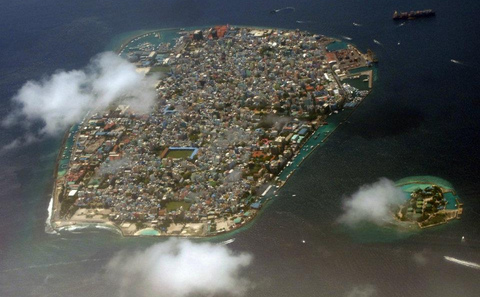 “As the environmental awareness of the people has been rising, the number of similar cases recently and the scale of such incidents have rarely been seen in the past,” the head of the Beijing-based Institute of Public and Environmental Affairs, Ma Jun, told AFP. “But the current decision-making mechanism, which allows a few government officials, developers and experts to make the decisions, has not introduced public consultation,” said Ma. An editorial in another state-run newspaper, the Global Times, urged the government to set up a more transparent system for approving projects but said the fate of industrial plants should not be decided by protests. “Some claim the people in Ningbo scored a victory,” said the newspaper, known for its nationalistic stance. Newspapers comment on protests in Zhejiang’s Ningbo city which forced the local government to shelve a plan to expand a petrochemical plant. However, not many Chinese-language newspapers other than Ningbo Daily are reporting the government’s decision to back down. Also on Monday, People’s Daily reports on its front page that a press centre serving journalists covering the Communist Party congress will open its doors on 1 November – a sign preparations for the major political event are in full swing. The Global Times says passengers have discovered some of Beijing’s taxis have their windows locked, which the paper believes is a security measure implemented ahead of the party congress. “Some passengers had thrown leaflets out of the taxi window, or inserted leaflets into ping-pong balls and threw them out, or would let go of a balloon which had leaflets tied to it,” the paper quoted a taxi driver as saying. Meanwhile, Hong Kong’s South China Morning Post and Sing Tao Dailyreport Premier Wen Jiabao visited an exhibition in Beijing on Friday, with photos showing Mr Wen’s big smile. Sing Tao Daily says the big smile seems to show that Mr Wen has not been affected by claims in the New York Times that his family has amassed hidden riches. “Wen should seize the opportunity to disclose his own and his relatives’ assets, setting an example for other leaders, which would give a boost to long-stalled efforts to pass ‘sunshine laws’ obliging senior officials to declare their assets,” the Post quoted the analysts as saying. State media does not appear to have reported the Times’ story. Newspapers also report more personnel reshuffles in the armed forces ahead of the party congress. The Global Times says the paramilitary police command of the Xinjiang Production and Construction Corps – a special economic and semi-military administration in the Xinjiang region – has been upgraded to a deputy corps command. Guangzhou’s Southern Metropolis Daily says a new head for the Tibet paramilitary police force has also been named, while a few command heads of provincial and regional paramilitary police have been renamed commanders. China Daily and People’s Daily report a radio telescope said to be the biggest in Asia was unveiled in Shanghai on Sunday. The Global Times and Shanghai Daily say the telescope will be fully operational in 2013. It will assist the flights of Chang’e 3 – China’s next moon exploration programme. A Sky News team reporting on a pollution protest in China is manhandled and dragged away from the scene by officials. A Sky News team were among journalists who were “violently” stopped from reporting on an environmental pollution protest in China. Sky News cameraman Andy Portch was attacked by plain-clothed men as they tried to prevent him filming a protest over expansion plans for a petro-chemical plant in Ningbo, Zhejiang province. Police sought to disperse hundreds of people outside the Ningbo city government offices, including an AFP journalist who was briefly detained by police. Sky’s Foreign Affairs Correspondent Lisa Holland was among a crowd when an official tried to stop her reporting on the demonstration. Thousands marched through the city over the weekend, clashing with police at times – eventually forcing the government to halt the expansion plan on Sunday. But people still gathered outside government offices on Monday to ensure the politicians kept their word. The Sky team was then marched away by riot police to roars by the crowd and threatened with arrest before being bundled away in a taxi. The crowd took pictures of the whole episode and uploaded them onto Weibo, the Chinese version of Twitter. People are using the powerful social media tool to highlight local disputes and controversial protests that never get reported by the state media. Holland said: “As the authorities tried to prevent us filming the event – the crowds were taking pictures of the whole episode and busily uploading them onto Weibo – their version of Twitter. “It’s Twitter, but not as people know it outside China. That’s because China’s population of 1.3 billion play a clever game of cat and mouse posting about the issues that matter to them, but not using specific words which will get their messages blanked out by the censors. “The messages speak in riddles – a language of Weibo has developed as users read between the lines, but clearly understand each other. “Through brute force the authorities tried to remove us from the story. But they just aren’t quick enough to stop Weibo and its messages and images. It’s a constant flow of information which is simply overloading the censors. PROTESTERS who forced a Chinese city to halt work on a new chemical plant have massed outside government offices in a wary response to a victory that highlighted the country’s growing environmental activism. Authorities in Ningbo city said on Sunday that work on the 55.9-billion-yuan ($A8.63 billion) oil refining and petrochemical complex would stop after thousands of local residents clashed with police in a week-long protest. But despite the government promise to halt the new plant of Chinese energy giant Sinopec, some Ningbo residents on Monday stressed they had no faith in public officials and the city might try to revive the project. “The situation was relatively stable (on Monday),” he said. “Unfortunately, it is perhaps just a stalling tactic … the government felt pressure and was eager to wind this matter up, so there’s no victory for us,” said Ningbo resident Sha Shi Di Sao Zi on a microblog. An editorial in the state-run China Daily newspaper on Monday said a rising number of environmental-related protests showed the “obsession” of local officials with economic development had to be changed. Ningbo’s Zhenhai district said on Sunday it would “ban” production of paraxylene (PX), a petrochemical used for plastic bottles which had been the focus of health fears. The eastern Chinese city of Ningbo has cancelled plans to expand a petrochemical complex following a week of sometimes-violent protests sparked by concerns over the environmental impact, state media has reported. A spokesman for Ningbo city government said in a statement carried by the officialChina News Service that no further work would be carried out on the project in Zhenhai district pending further “scientific debate”. Protests in the eastern city, had swelled over the weekend and led to clashes between citizens and police. The Ningbo city government said in a statement on Sunday evening that they and the project’s investor had “resolutely” agreed not to go ahead with the expansion. The factory is a subsidiary of Sinopec, one of world’s the biggest petrochemical companies. Outside government offices an official tried to read the statement on a loudspeaker but was drowned out by protesters demanding the resignation of the mayor and the release of demonstrators being held inside. The city government was likely to be under pressure to defuse the protest with China’s leadership wanting calm for next month’s party congress. It was unclear whether local authorities will ultimately cancel the petrochemical project or continue it when the pressure is lower. Hundreds of people outside the government offices refused to disperse despite being urged to leave by officials. Riot police with helmets and shields pushed the crowd back. Six men and one woman were dragged into the compound by police, who beat and kicked at least three of them. Police also smashed placards and took away flags.The demonstration in wealthy Zhejiang province is the latest this year over fears of health risks from industrial projects, as Chinese who have become more outspoken against environmentally risky projects in their areas despite improvements in their living standards. The protests began a few days earlier in the coastal district of Zhenhai, where the petrochemical factory is located. On Saturday, they swelled and spread to the centreof Ningbo city, whose officials oversee Zhenhai. Authorities said “a few” people had disrupted public order by staging sit-ins, unfurling banners, distributing fliers and obstructing roads.